View this short 8 minute video to learn more about Snook Christian Academy. Snook Christian Academy, began as Alabama Gulf Coast Christian Academy in 2006, with 21 students at the fellowship hall of Summerdale church of Christ. The school began as an implementation of a goal of Allison Lambert Coxwell, who had passed away in April of 2000. Her dream of instilling a quality Christian education for children in this area is now a flourishing reality with the hard work and commitment of many hands. At the school’s 10 year anniversary, in 2016, the school changed the name to Snook Christian Academy to honor Marjorie Snook for her support of the school. Ms. Snook has been vital in her dedication and love for the school. Thank you, Ms. Snook, for helping to make the dream a reality and for allowing the school to provide a quality Christian education that services the Baldwin County area. What once began with 21 students in a fellowship hall of the Summerdale church of Christ, has now grown into a dually accredited, warm, loving atmosphere, where students are able to grow not only academically, but spiritually. The campus consists of three buildings, a baseball field, a playground area, and over 200 students in enrollment. Snook Christian Academy is committed to placing and maintaining Christ as the center of all we do and accomplish. We are committed to providing an education that not only prepares students for future accomplishments, but also for a life of service to our Lord and maker. We are committed to providing this experience with a Christian faculty and staff, in a safe and inviting environment. SCA is an independent Christian school that teaches the truth of God from His Holy Word, and is overseen by an independent board of directors that are associated with the churches of Christ. We will provide daily Bible classes and a daily chapel program for all ages. We will teach principles from the Bible as the only source of truth. We will teach that everyone is in desperate need of Jesus Christ and His cleansing blood. We will promote the idea that our hope is in God alone and we are here to serve Him. Christian character and educating the whole child. We will teach all subjects from a Biblical perspective. God will be in the center of all that we do. We believe that every person must be afforded compassion, love, kindness, respect, and dignity. (Mark 12:28-31; Luke 6:31.) Hateful and harassing behavior or attitudes directed toward any individual are to be repudiated and are not in accord with Scripture or the Biblical perspective of SCA. At Snook Christian Academy, we feel it is vital to tour every school facility of interest to find a good fit for your family. Our admissions office would be happy to answer any question or to schedule your family's tour. Call our office today at 251-989-2333. Snook Christian Academy is committed to excellence in academics by following Alabama's Courses of Study through a Biblical perspective. SCA also holds an accreditation through both AdvancED (SACS) and NCSA for grades K-12. We offer smaller class sizes for more student attention. We have Interactive Projectors in each classroom and technology for each student for a more interactive learning experience. STAR tests are given quarterly to monitor student progress throughout the year, and teachers use the testing data to impact classroom instruction to optimize learning for each student. SCA's Pre K program is for children ages 3 and 4, and focuses on school readiness in a Christian environment. The Pre K curriculum includes learning shapes, colors, letters, numbers, as well as Spanish, through cooperative, hands-on activities. The Pre K program also offers various enrichments, including drama, music, library, and art. Students participate in regular drama and musical productions throughout the school year. Elementary programs at SCA focus on student achievement on a high level. STAR Reading & Math Testing programs measure academic achievement that is monitored regularly. Students are also challenged through the Accelerated Reader program and rewarded for their achievements. The elementary program offers various enrichments, including drama, music, library, & art. Students participate in regular drama & musical productions throughout the school year. The secondary school challenges students to work toward college readiness. High school students will have the option of completing a standard or honors diploma. Secondary students have an opportunity for dual enrollment through the University of Alabama and Faulkner State Community College. Students also have a broad range of online elective courses that are available through Troy University. Performing arts opportunities that are held after school include musical instrument lessons, voice lessons, and ballet. Students will be taught by highly qualified instructors who have years of professional experience. Lessons are held on campus and provide for a familiar setting in which to learn a new craft. Snook Christian Academy is committed to excellence in academics, following Alabama's Courses of Study through a Biblical perspective and accredidation through both SACS and NCSA. We offer smaller class sizes for a more one-on-one teaching experience. We have interactive projectors in each classroom and technology for each student for a more interactive learning experience. STAR tests are given periodically to compare student achievement to national standards, and teachers use the testing data to modify and implement classroom curriculum to optimize learning on an individual basis. SCA's Pre K program is for children ages 3 and 4, and focuses on school readiness in a Christian environment. The Pre K curriculum includes learning shapes, colors, letters, numbers, as well as Spanish, and sign language, through cooperative, hands-on activities. The Pre K program offers various enrichments, including drama, music, library, and art. Students participate in regular fine arts productions throughout the school year. Elementary programs at SCA focus on student achievement. Star Reading & Math Testing measure academic acheivement which impacts classroom instruction. Students are also challenged through the Accelerated Reader. The elementary program offers various enrichments, including drama, music, library, and art. Students participate in regular fine arts productions throughout the year. Secondary programs challenge students to work toward college readiness. High school students have the option of completing a standard or advanced diploma track. Secondary students also have an opportunity for dual enrollment through the University of Alabama and Faulkner State Community College. Students also have a broad range of online elective courses through Troy University. SCA's enrichment program encompasses music, art, and drama in both the elementary and secondary levels. Pre K and elementary grades participate daily in enrichments. Secondary students have a music, art, and drama course as part of their enrichment program. "For bodily exercise profits little, but godliness is profitable for all things. Having promise of the life that now is and of that which is to come." 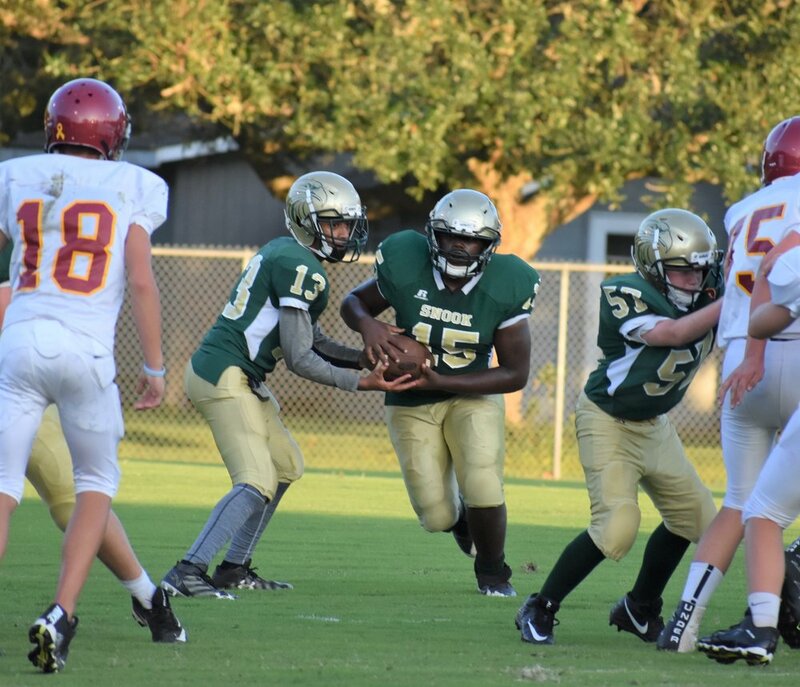 At Snook Christian Academy, the athletic department is committed, motivated and dedicated to train Christian athletes not only physically to try their best, but in learning and instilling traits such as discipline, perseverance, determination, character, integrity, and leadership. 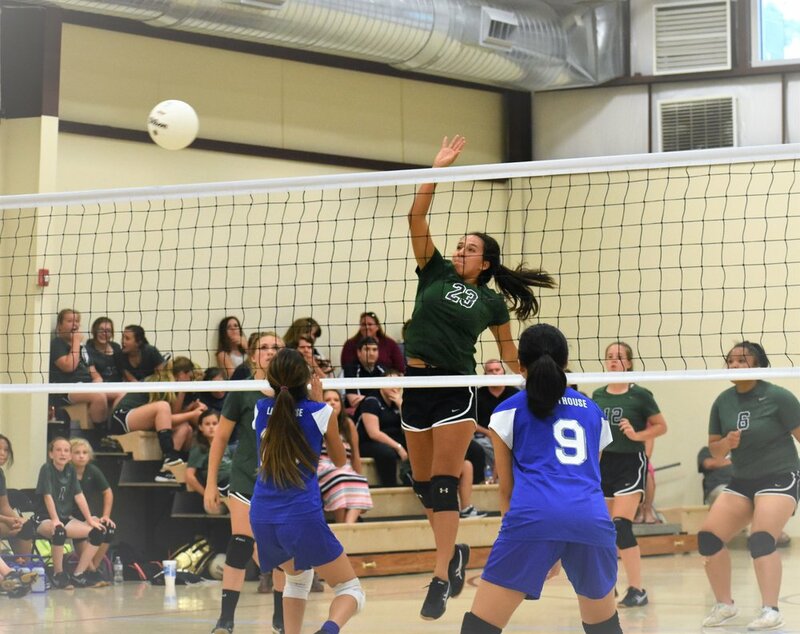 Snook Christian Academy competes in the Panhandle Christian Conference (PCC). Traveling on Hwy 59 South, after passing County Road 32 in Summerdale, veer right onto County Road 71. Drive approximately 1/2 mile south to SCA. Traveling on Hwy 59 North, after passing the entrance to the Foley Beach Express, turn left onto County Road 28. Drive approximately 1/2 mile west to SCA. Traveling east on County Road 32, after passing the intersection of County Roads 32 and 9, drive approximately 5 miles, and turn right onto Hwy 59 South. After approximately 1/2 mile, veer right onto County Road 71. Drive about 1/2 mile south to SCA. Legal Notice: Snook Christian Academy, Inc. admits students of any race, color, national origin, and ethnic origin to all the rights, privileges, programs, and activities generally accorded or made available to students at the school. It does not discriminate on the basis of race, color, national origin and ethnic origin in administration of its educational policies, admission policies, financial aid programs, and other school-administered programs. Work with Snook Christian Academy!